L & C Photos was established in 1981 by the Father/Daughter team of Larry Johnson and Cathy Jo (Johnson) Crall. In the spring of 1984 Cathy Jo became the sole owner/operator and relocated the business one block off of Albia’s Historic Square. Having outgrown that location by 1987, Cathy Jo and her husband Dave moved the studio to the lower level of their home where it continued to prosper and grow. 2008 brought a new year and the realization that L & C had again outgrown its location. After months of searching Cathy Jo & Dave purchased an acreage and started construction of a custom facility to accommodate their growing clientele and to better support the ever changing world of Professional Photography. The new building contains a 1240 square foot camera room, 2 changing areas, a presentation room and an inviting reception area. L & C apart from the rest, with their creativity and originality. 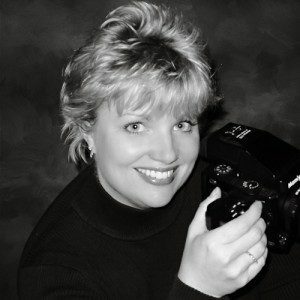 As the most established photographer, with the greatest number of years experience in Albia, Cathy Jo strives to treat each and every customer with the utmost respect. Feeling truly blessed to have made so many friends and acquaintances over the years, she is delighted each time they return to visit, and looks forward to making new friends every day. Copyright © 2018 L & C Photos. All rights reserved.